We all know the workplace is changing and changing quickly. With this continuous change comes a need for new skills employers have identified as necessary for an employee to succeed in today’s market. Skills they may not have. ‘If I keep my nose clean I can be in this job for life’ was a comment shared with me many years ago. You may recall your parents, aunts, uncles and close friends being in the same job forever. They were not required to learn new skills and adapt. Everything stayed pretty much the same, year after year after year. How does that fit with today’s work world? Not very well. Things are constantly changing. In the fiercely competitive work market there is now an expectation that every potential employee has the technical skill required to do the job. “In the age of automation, maintaining technical fluency across roles will be critical, but the pace of change is fueling demand for adaptable, critical thinkers, communicators, and leaders”: Tanya Staples. 1. 1. Leadership: “the ability to manage a task or project independently, without supervision and with self-motivation are hallmarks of a leader”. 2. Communication: Technology may be compromising our ability to connect with each other, to participate in a conversation that creates connection and understanding which leads to more effective relationships. 3. Collaboration: Employees connect with each other to complete work. High functioning teams collaborate effectively to be productive, engaged and innovative, all fundamental to ongoing success. 2. With continual change comes a need for continual learning. Hays Recruiting Experts Worldwide stated the top soft skill required of employees in 2018 is a willingness to learn. Employers want candidates who are self-directed learners, willing to continuously build their learning using their own initiative. This could be through podcasts and webinars, recommending news articles to colleagues and being aware of feedback, particularly that from customers. 3. What to Learn: Maybe you have the time and feel in control. How do you identify what you need to learn? Where will you find the appropriate content? Who will pay for it? These are questions that may arise and can present as barriers. Where do I feel I have learning gaps? What do I find challenging looking particularly at soft skills? Perhaps you could explore this, asking for feedback from the person you report to, colleagues or others. This can help you identify your opportunities for learning. Perhaps there is a new job you have your eye on – what are skills needed to strengthen this opportunity for you? 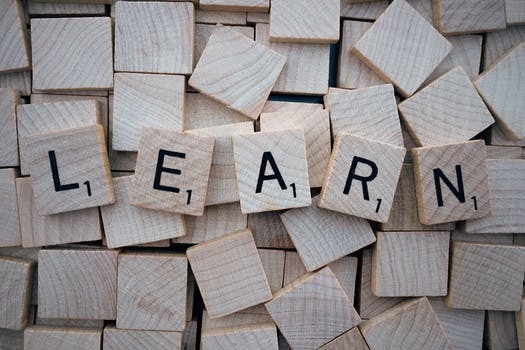 How to Learn: We all have preferred learning styles, some of us like to read books while others enjoy audio recordings or learn through experiences. What is your preferred style? In today’s world of technology we have access to more knowledge than ever before. Downloading e-books, podcasts, webinars are all easy to access and low cost. Many groups have online learning platforms which offer courses that may be useful for you. Check with your employer – you may have access to online courses in many areas that will support your development and help you thrive at work. Time to Commit: You may now be thinking – ok I may be expected to continually learn and develop my ‘soft’ skills and yet when am I going to do this? Feeling maxed out already you may be wondering where you can find the time to do even one more thing. Thinking about that, perhaps this factor can influence how you learn. If you take the bus to work, there is an opportunity to read an article or a book. If you drive to work, listening to a podcast may be more interesting than the radio. How do you spend your lunch break? One day a week, you could have a lunch and learn by yourself or with others. Listening to a podcast or reading an article with others can provide great opportunities for dialogue that creates rich learning. Overwhelm: Employees are already feeling overwhelmed. Women with young families are maxed out trying to be the best possible mom, wife, daughter etc. Work is sometimes considered the escape, the place of reprieve where things remain somewhat constant. And yet, this is not what the research is showing us. The workplace is also changing and with these changes come new expectations of employees if they want to succeed in their professional lives. Learning can be seen as a drag, one more thing on an overfull plate OR it can be reframed into something that provides pleasure. Being proactive, initiating our own learning helps us feel in control of our own lives and may even diminish the sense of overwhelm so many of us feel today. Not sure how to get your team to engage? Use this FREE Communication Course! I want to learn how to increase team engagement.